Fire up your grill and turn your fruit salad into an extraordinary dessert. This dish requires more time than traditional toss-and-serve salads, but it is well worth the effort. 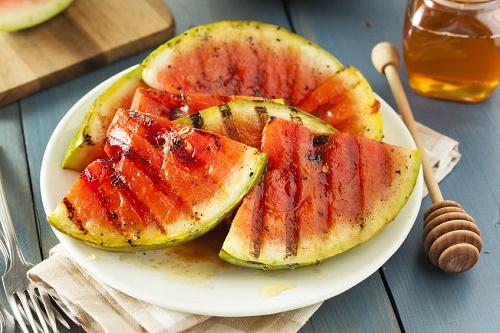 Cut the fruits in half, remove the pits, and place them face down on the grill. Cook for 3 to 5 minutes until they get grill marks.